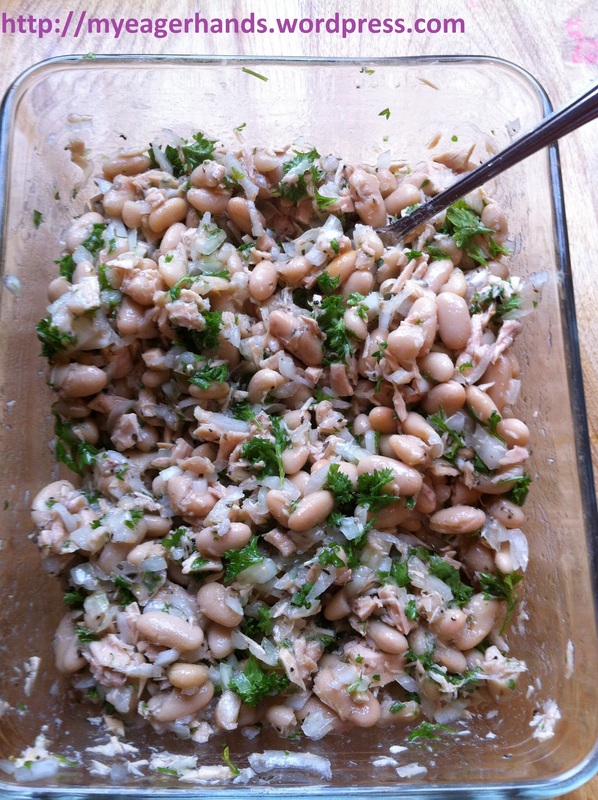 This delicious Cannellini and Tuna Salad recipe came from my parents who learned how to make it in Italy. I started calling it “Protein Salad” one summer when I was serving it to my friends’ teenagers. I figured if an athlete hears ‘protein’ he will be more likely to eat it. 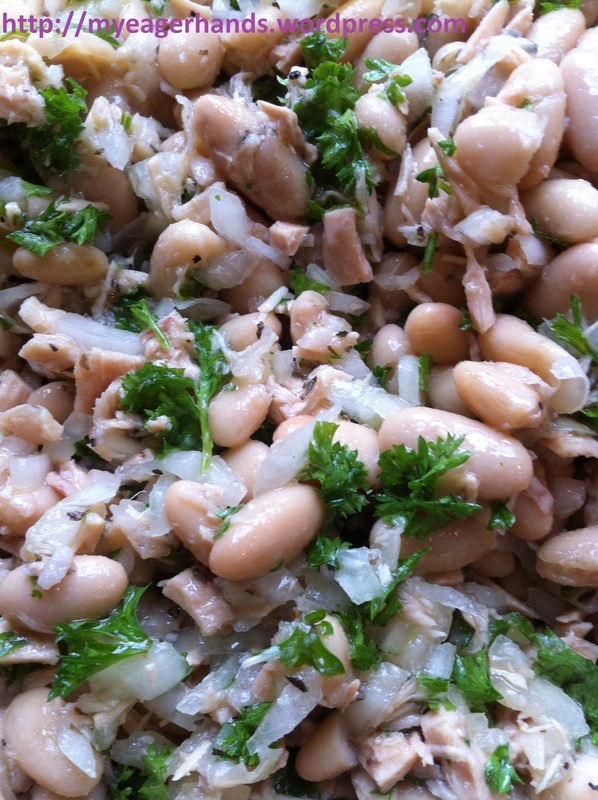 This is so simple, and absolutely delish! 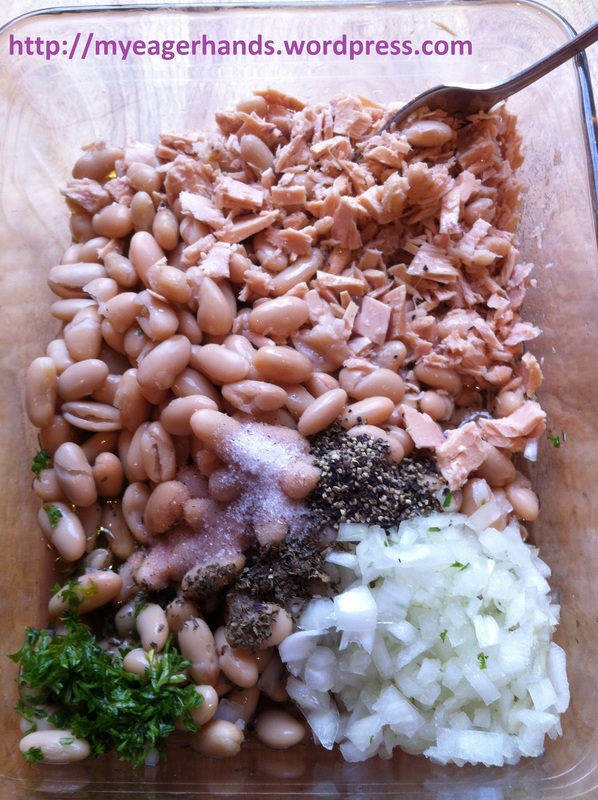 The creamy beans are really satisfying and this is a healthy lunch choice. 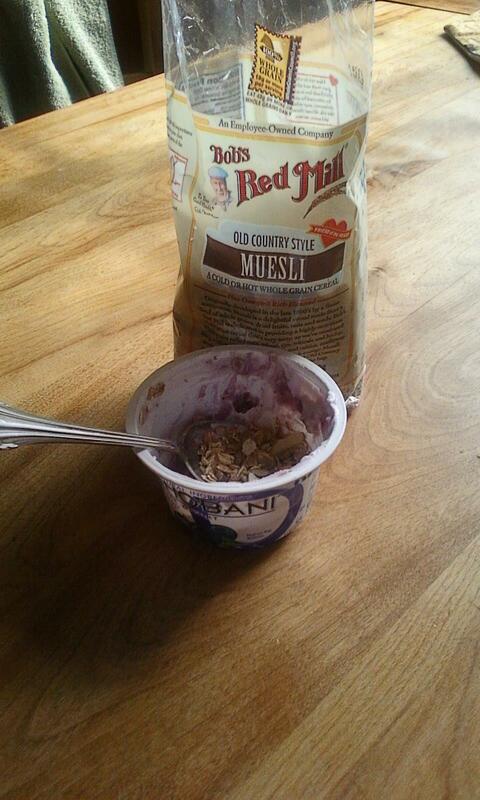 A hearty breakfast which is delicious and healthy is Greek yogurt with unsweetened Muesli. 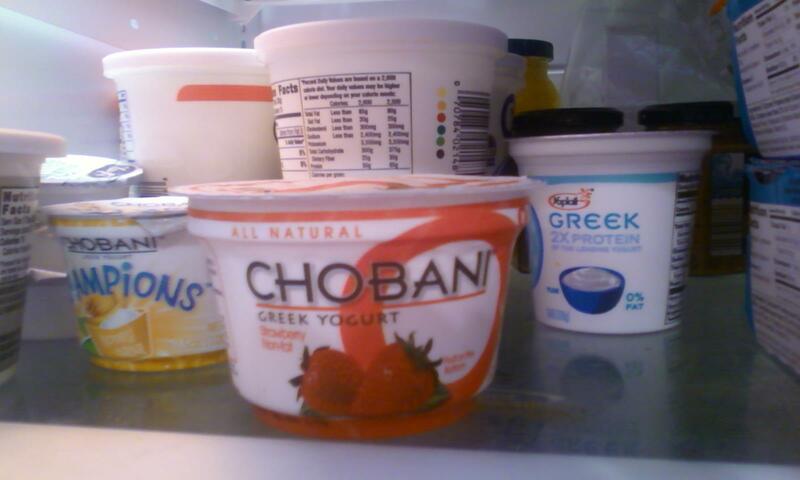 Today I’m eating CHOBANI brand yogurt, which is all natural and made in NY state! 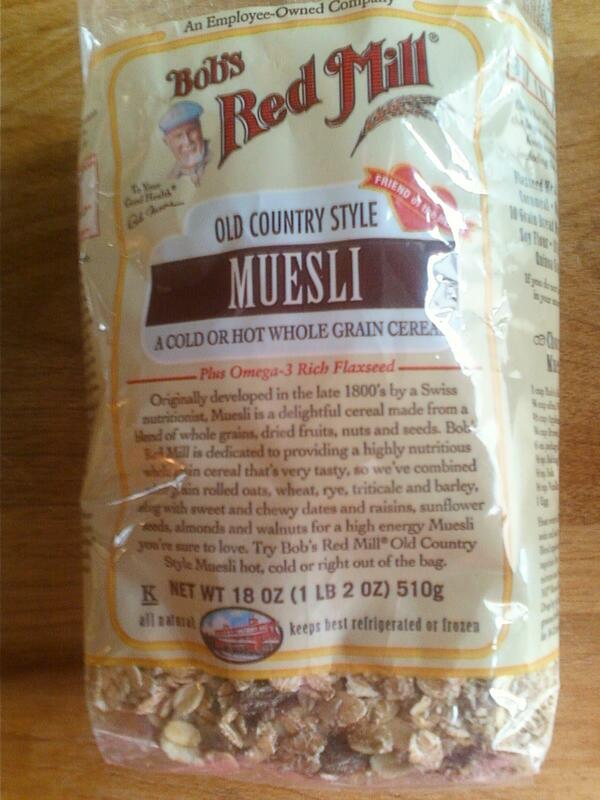 I put about 1/4 cup of Old Country Style Muesli (raw grains, fruit & nuts) on the fruit yogurt. It’s chewy and satisfying.